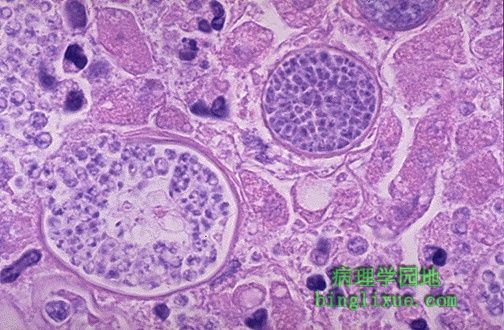 These large spherules with a thick wall and filled with endospores are characteristic for Coccidioides immitis. "Cocci" is endemic to the desert southwest of the U.S. Note how the spherule at the left is bursting to expel its endospores, which grow and continue the infection.